While earlier MFDs models were majorly inkjet, HP Laserjet M1120 was one of the first laser printer introduced in the market with multi-functional capacity. The earlier models only had a USB connectivity option, the M1120n was launched with the capability to connect to the intranet. HP Laserjet M1120n Mfp Toner Cartridges are said to have a capacity of 2000 pages. Print quality in M1120n is good with quick print times. Most prints take between 8-20 seconds and the claimed speed is 19 ppm, and the practical results were closer to the manufacturer’s claim. The device is capable of handling A4 size paper media and can hold up to 250 sheets at a time. The device has an attractive design with a small footprint that serves best the small to medium size businesses. It has a plastic covered input tray at the front bottom and a 125-sheet output tray just above that. The control panel of the printer lies at the top right corner of the device and contains basic function buttons and single-line display screen. The maximum print resolution of the printer is 600 x 600 dpi. For the connectivity, printer boasts a USB 2.0 port and a PictBridge port for direct printing from any digital camera. The high-quality HP Laserjet M1120n Mfp toner cartridges are also available as compatible version that can help you reduce your overall printing expenses. HP Laserjet M1120n was one the first laser MFDs in the market. However, it has not evolved much thereafter. It is a good choice for an office with majorly monochrome printing needs, anything above that would need more modern devices. How to improve the image quality problem of the HP Laserjet M1120n Mfp printer? Make sure that the paper or print media that you are using meets the HP specifications. Generally, smoother and more glossier side of the paper is recommended for printing as it provides better results. If you are using a special print media such as labels, transparencies, glossy, or letterhead, ensure that you have printed by type. You can refer user manual to check the process for changing the print driver to match the media type and size. Print a configuration page at the product control panel. If the page does not print correctly, the problem is with the hardware. Contact HP customer support service for more enquiry. You can also see www.hp.com/support/LJM1120 or the support flyer that came in the product box. Print a demo page at the control panel. If the page prints, the problem is with the printer driver. Try printing from another printer driver. Try printing from a different program. If the page prints correctly, the problem is with the program from which you were printing. If the images printed from HP Laserjet M1120n Mfp printer have missing or faded colours. The HP Laserjet M1120n Mfp toner cartridge might be defective. Try replacing the print cartridges as soon as possible and print a job again. Even after replacing the HP Laserjet M1120n Mfp toner cartridges the problem is not solved, restart the printer and then try printing again. If the problem is not resolved contact the HP customer support for more enquiry. Q. Do you offer next day delivery facility of HP Laserjet M1120n Mfp toner cartridges if there’s an urgent requirement? A. We are offer the delivery of products in 1-3 days. Approximately 90% of our orders that are received before 12 noon are despatched on same day. Q. I will be using compatible toner cartridges in my HP Laserjet M1120n Mfp for the first time. Can you please tell me if they don’t cause any sort of damage and are reliable like genuine cartridges? A. Compatible HP Laserjet M1120n Mfp toner cartridges are good-quality and reliable like the original ones. They help you cut costs and deliver the same premium results; the only difference is that the compatibles are created from recycled material. They do not cause any damage to the printer because they look and function same as the original ones. Q. Does the HP Laserjet M1120n Mfp printer supports USB connectivity only? A. No, the earlier MFDs models had a USB connectivity only, but the M1120n was launched to the capability to connect to the intranet. Also, the printer supports a PictBridge port for direct printing from any digital camera. Q. Since the HP Laserjet M1120n Mfp printer is a good choice for monochrome printing job, I’ve been using this printer for my office. Suddenly, the photos taken from this printer, started producing streaks on them. How can I resolve this problem? Keep the product away from open windows or air conditioning vents. Make sure that the product is not unprotected to extreme humidity. During the printing process, paper, toner and dust particles can accumulate inside the product. In order to improve the print-quality, it is necessary to clean the product regularly. Replace the HP Laserjet M1120n Mfp toner cartridge. It might be possible that the toner cartridges you are using are too low, dried or expired. If you are still unable to resolve the issue, contact the HP customer support. Q. I bought a compatible HP Laserjet M1120n MFP toner cartridge for my printer and found out that the page yield of the compatible cartridge was lower than the original one. Why? Would you please provide a clarification? A. Sure. The page yield decided for a toner cartridge entirely depends on the assumption that the consumers will use a toner cartridge with the text printing carried out by 5% coverage (100% page coverage means that the entire page is covered with toner). 5% page coverage is the ISO Standard followed by every toner cartridge supplier. For example, if an HP Laserjet M1120n MFP toner cartridge gives you a page yield of 3000, it means that you will be able to print 3000 pages only when the printed area covered on the page is 5%. In case you are using graphics, bold letters or images that fill up the entire page it will consume more toner than the usual. Hope this answers your question correctly. Q. Will HP Laserjet M1120n MFP support booklet printing? Q. What is a high capacity toner cartridge? A. A high capacity toner cartridge yields more pages than the regular toner cartridge. The high capacity HP Laserjet M1120n MFP toner cartridge CB436X (36X) located above on this page yields 3000 pages whereas the regular toner cartridge with the same model yields 2000 pages (on 5% page coverage). Q. We need to estimate the number of cartridges required at our office on the basis of efficiency of one toner cartridges. Can you tell me how many copies can I get from the HP Laserjet M1120n Mfp toner cartridge? A. HP Laserjet M1120n Mfp is a monochrome printer whose cartridge can produce 2000 pages print approximately. This is based on printing 5% coverage on an A4 page, but if you print more than 5% than the page yield will decrease accordingly. Q. What are the choices of colours of the compatible HP Laserjet M1120n Mfp toner cartridges offered by your site? Q. I got HP 36A toner cartridge with my HP Laserjet M1120n Mfp printer. It has exhausted and now I want to buy your compatible CB436A (36A) toner cartridge. Will it be equally efficient as the previous ones? A. The compatible CB436A (36A) HP Laserjet M1120n Mfp toner cartridge is highly efficient and compatible with HP Laserjet M1120n Mfp printer. There is no physical difference between the two, except for your current HP 36A toner had been manufactured by HP and the compatible cartridge had been recycled by third party manufacturer. Q. Can you tell me about the supported page sizes for my HP Laserjet M1120n Mfp printer? Q. Would you recommend an HP Laserjet M1120n Mfp printer for my office. The amount of documents we print daily is abundant and we are looking for a printer that can work efficiently with the workload and without lacking the quality. A. 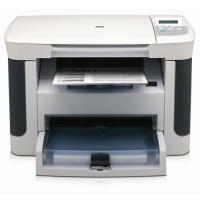 The HP Laserjet M1120n Mfp is a highly efficient printer which is a great deal for office users. This monochrome printer prints clear and sharp text with help of premium HP Laserjet M1120n Mfp toner cartridges. The high quality toner enhances the colour and brightness of text and makes the document look more appealing. According to your requirement the HP Laserjet M1120n Mfp would be a good choice. Q. Are there other printers which can use the compatible HP Laserjet M1120n Mfp toner cartridges ? Q. Lately, my HP Laserjet M1120n Mfp printer has started spilling ink. Whenever I print the documents the clarity is not as good as it used to be. What have gone wrong? A. The spilling of toner and unclear printouts are a sign of unclean drum unit or print path. We would recommend you to perform a cleaning cycle or manually clean the printer from inside. There is a possibility that you have not cleaned the printer from a while and toner or dust particles have stuck on drum roller. Clean the printer and restart it. If the problem still persists you should get your printer repaired. The unclear prints are usually not a sign of faulty cartridge, however, you can check the cartridge level and replace them if they are low on toner. Also, make sure that the paper type is supported by your HP printer.